On November 3rd, Artemis Papageorgiou will be inter-acting with the TEDxPatras audience, exploring a sequence of decisions and tools that shaped her personal path through instances of truth. The well-known architect and multimedia artist will create a different intervention on TEDxPatras stage, asking questions like “Do we tell the truth?”, “How does truth affect our lives on a daily basis?” and “How do we mould truth and are moulded by it?”. Don’t miss Artemis exploring Truth through her course in architecture and interaction design, under the TEDxPatras 2018 theme “umbrella”, Values. Artemis Papageorgiou is an architect and multimedia artist exploring the repercussions of play and computational media inside the urban landscape. Her work spans interactive installations, hybrid furniture and urban games, aiming at the active participation of audiences. In 2011 Artemis co-founded Athens Plaython, the first street games festival in Athens. In 2014 she founded Entropika, an interdisciplinary design lab specialising in urban interventions and playful experiences, along with educational programmes on art, architecture and technology. Her work has been shown internationally, including the Salone del Mobile di Milano, Southbank Centre London, Polytechnic Museum of Moscow, Victoria & Albert Museum London, Benaki Museum, Eyebeam Center New York. 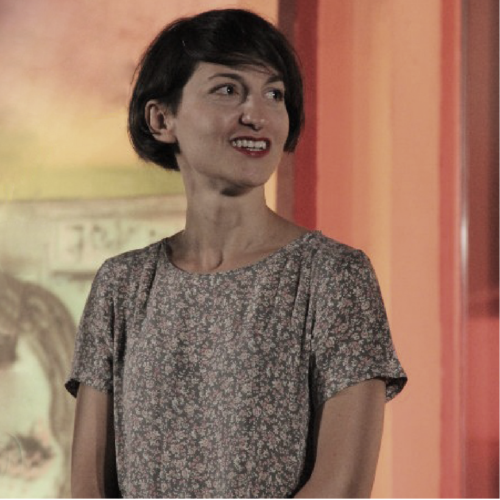 She currently works at the Open Design School Matera, designing installations aimed for the cultural events of the cultural capital of Matera 2019.